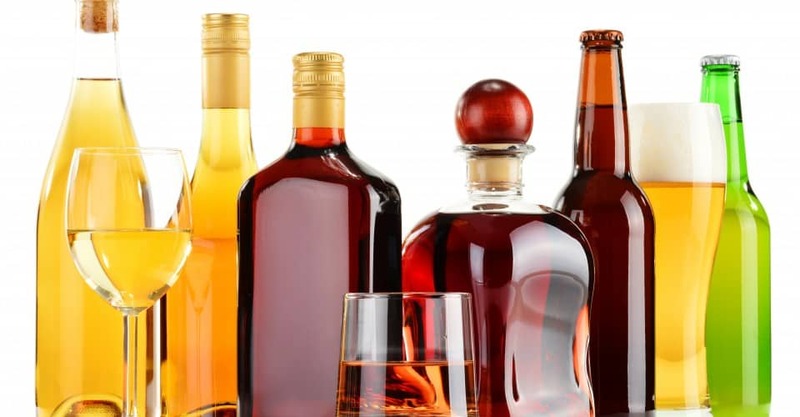 Recently, consumer groups led by the Center for Science in the Public Interest proposed that the government institute an “#Alcohol Facts” label similar to the “Nutrition Facts” label found on all foods at the supermarket. Alcohol also impairs a dieter’s good judgment — which means you eat and drink more than you normally would. To top it off, most people enjoy eating high-calorie, high-sodium snacks when they drink alcohol — triple the trouble if you’re trying to lose weight. Alcohol can be especially harmful to dieters because it may cause blood sugar levels to drop more rapidly. This effect can stimulate your appetite and disrupt your ability to tell when you’ve had enough to eat. Additionally, this can cause fatigue, draining your energy levels. Alcohol may also interfere with the body’s absorption of certain vitamins and minerals. Beer and wine are your best choices when it comes to consuming alcohol, but they still have calories. Choose light beers like Michelob Light or Bud Light. While regular beer contains close to 150 calories a bottle, light beer has only 100 (none of these beers has any fat). Interestingly, Guinness has as many calories as a Bud Light — about 110 for both. The new low-carb beers are somewhat lower in calories than the light versions, and non-alcoholic beers are still lower at about 70 calories per drink. And while five ounces of dry wine or champagne will only cost you 100 calories — both relatively good choices — watch out for sweet dessert wine, which has 226 calories (for five ounces). Keep in mind that the higher the proof, the more alcohol a product contains, and therefore, the higher the calories. One ounce of 80 proof (40% alcohol) liquor contains about 70 calories. Remember, a typical serving of scotch on the rocks has anywhere from one to two shots or ounces (depending on how well you know the bartender or if you’re pouring the drink yourself). Also, be aware that the really sweet stuff is much higher in calories, such as crème de menthe (1 shot: 186 calories) or schnapps (1 shot: 159 calories). Alcohol itself is packed with calories, but when you add in mixers — soda, juice, cream, sugar and other ingredients — well, watch out. Turning rum into a rum and Coke nearly doubles the calories; the same goes for a gin and tonic. Soda or juice ADDS about 100 to 150 calories per drink. So the average mixed drink contains at least 300 calories for an 8-ounce glass. A suggestion: keep it simple and on the rocks. Don’t be shy — ask for diet soda or seltzer for all of your mixers. Those sweet drinks like kahlua and cream or a piña colada can have as many calories as a full meal or more — plus added fat. Those bucket-sized margaritas easily contain more than 700 calories. A 16-ounce piña colada has almost 1000 calories; you would have to walk for six hours to burn off that one drink. Try to choose smaller drinks and avoid the creamy and frozen ones. The new premium malt beverages are the latest rage targeting the younger market. They have names like Smirnoff Ice, Bacardi Silver, and Stolichnaya Citrona, and typically have more than 200 calories per drink. To get people hooked on them, the alcohol content is very low, and they’re loaded with tons of sugar to mask the taste — which means they’re also loaded with calories. To burn off just one serving of Skyy Blue (277 calories, 45.3g carbs), you would need to ride your bike for about 35 minutes. I’m not suggesting that you never drink again — in fact, moderate alcohol consumption has been shown to reduce the chances of heart disease. But it is important to be conscious of what you consume, and make the best choices from what’s available.